The Lorena collection by Jennifer Taylor Home is the perfect addition to any living space looking to add a bit of a modern flair. The Paradise is upholstered with high-quality fabrics and the wood frames are made from kiln dried birch wood which provides exceptional support and stability. 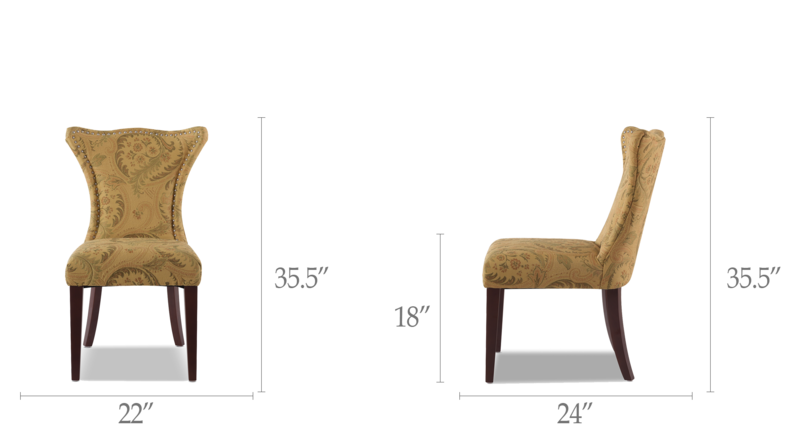 This accent parson chair is accented with a nail head trim along the edges of the back rest. The Lorena is an ideal choice for the dining room or living areas.